Technology Services of Iowa, LLC: Digitize all your old photos and more! Digitize all your old photos and more! With the Pandigital PhotoLink One-Touch Scanner you can easily and instantly save your old photos to a memory card or PC. No computer required! Having your photos digital makes it easy to do reprints, email pictures, create fun cards and other creative designs and digital photos never fade! Scan photos from wallet size to 4x6 and other papers too. With ultra high resolution scans at 1800 x 1200 your photos will never look better. With the included memory card you can easily take your pictures to the store for reprints, enlargements, Christmas cards and more. And you can stick that same memory card in a digital camera or digital photo frame to display lots of your photos in a never ending slide show. It has a 5-in-1 memory card reader as well. 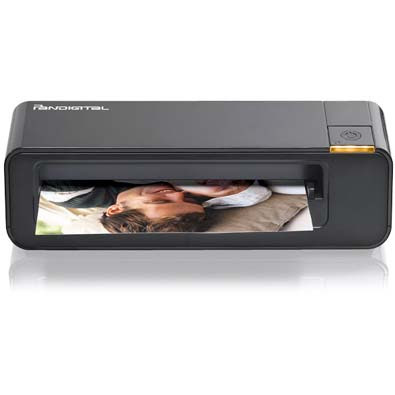 The Pandigital One-Touch Scanner makes a great Christmas gift or just get one for you own photo needs.